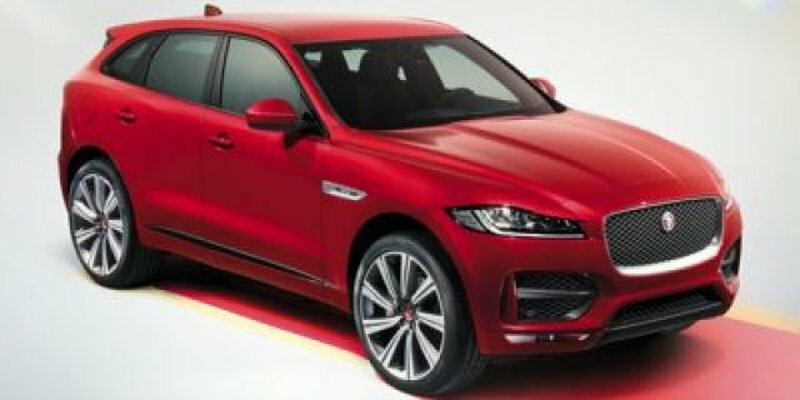 This Jaguar F-PACE has a dependable Intercooled Turbo Diesel I-4 2.0 L/122 engine powering this Automatic transmission. WHEELS: 22 15 SPOKE GLOSS BLACK (STYLE 1020) -inc: satin black inserts, Tires: 265/40R22 M+S All-Season, TECHNOLOGY PACK -inc: Radio: Meridian 825W Digital Surround Sound System, 16 speakers, subwoofer, AM/FM radio, SiriusXM satellite radio, dynamic volume control, Bluetooth connectivity and streaming and voice control, CD/DVD Player, Full TFT Interactive Driver Display, SMARTPHONE PACK -inc: Apple CarPlay, Android Auto. *These Packages Will Make Your Jaguar F-PACE R-Sport the Envy of Onlookers*R-SPORT BLACK EXTERIOR PACK -inc: gloss black side vents w/R-Sport badge and body-coloured door claddings w/gloss black finishers, Gloss Black Grille w/Gloss Black Surround, HEATED WINDSCREEN W/HEATED WASHER JETS, HEAD-UP DISPLAY, HD RADIO & SIRIUSXM SATELLITE RADIO, GLOSS BLACK ROOF RAILS, FUJI WHITE, EBONY HEADLINING, DRIVE PACK -inc: Blind Spot Assist, High-Speed Emergency Braking, Adaptive Cruise Control w/Stop & Go, Gloss Black Grille Insert w/Satin Chrome Surround, COMFORT & CONVENIENCE PACK 2 -inc: Gesture Tailgate, Rear Seat Remote Release Levers, Electrically Reclining Rear Seats, Climate Front Seats, heated rear seats, Wheels w/Machined w/Painted Accents Accents, Voice Recorder, Valet Function, Trunk/Hatch Auto-Latch, Trip Computer, Transmission: 8-Speed Automatic. * Stop By Today *Come in for a quick visit at Jaguar Land Rover Lakeridge, 280 Achilles Rd, Ajax, ON L1S 7S3 to claim your Jaguar F-PACE!Prices include all fees except licensing and HST.